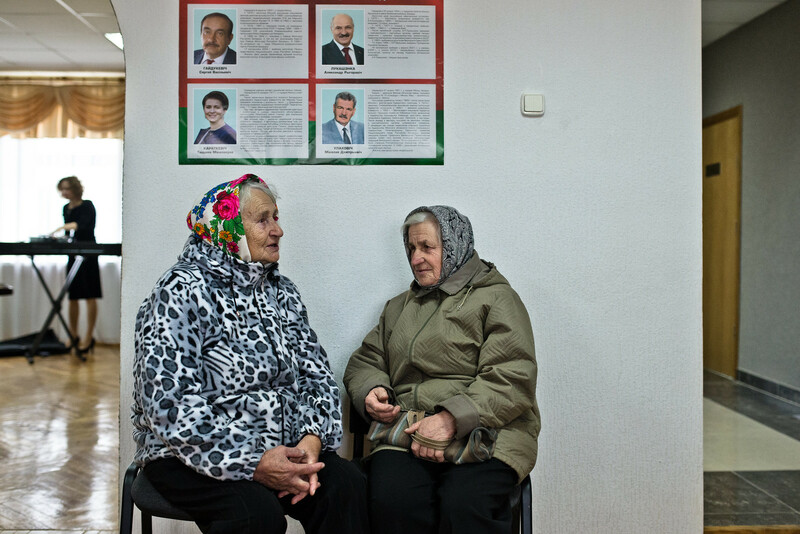 It was clear from the very beginning: Alexander Lukashenko, authoritarian leader of Belarus since 1994, would easily “win” his fifth presidential election on Sunday 11th October 2015. This year’s outcome was his highest ever victory: 83.5 percent voted for the incumbent president, as announced by the Belarusian Central Election Commission. The other three competing candidates all received less than five percent each. No candidate was fully backed by the opposition. Furthermore, the International Election Observation Mission, a common endeavour involving the OSCE Office for Democratic Institutions and Human Rights, the OSCE Parliamentary Assembly and the Parliamentary Assembly of the Council of Europe (PACE), noted “some specific improvements and a welcoming attitude”, although the international election observers detected “significant problems, particularly during the counting and tabulation” which “undermined the integrity of the election”. Far more critical is the announcement made by the US Department of State: “We are disappointed that the elections fell significantly short of Belarus’ international obligations and commitments for free and fair elections”. As the press release states in particular, the USA recognised “the almost complete absence of opposition party or independent members on election commissions”. Thus, like all previous elections since Lukashenko came to power, the voting process can simply be called as a simulation of an election. However, the real outcome of the presidential election was that Lukashenko – despite all criticism – still gained prestige from the West because during the whole period of election campaigning, the election process and the events afterwards were peaceful and calm. 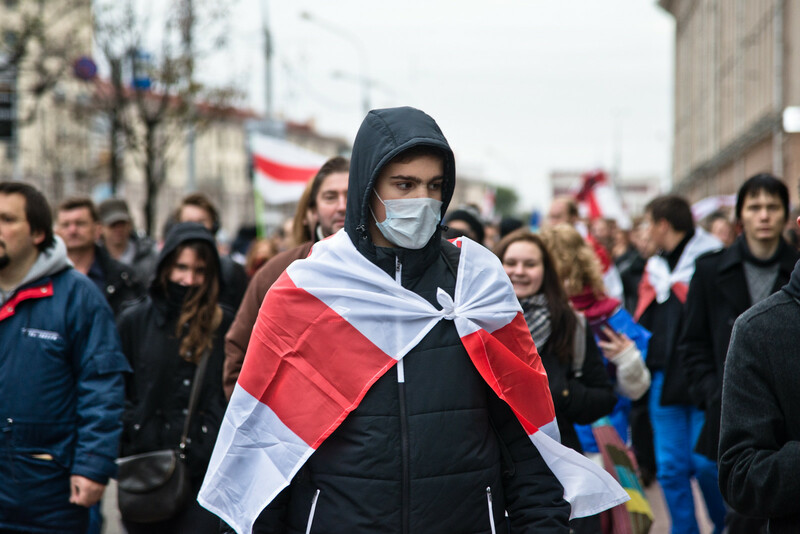 On the other contrary – as mainly the protests on Saturday 10th October, and Sunday 11th October have shown – there is barely any exciting opposition in Belarus any more. Without any problems, the regime left the few protestors unusually free allow to march; there were neither riot police nor detentions during the protests. Furthermore, no websites were blocked as in the past. This offered, therefore, perfect conditions for the authoritarian regime to easily present itself as being as open as possible to international observers, foreign journalists and Western politicians. Somehow Lukashenko’s new, more or less “liberal” approach – visible for a couple of months already – paid off. 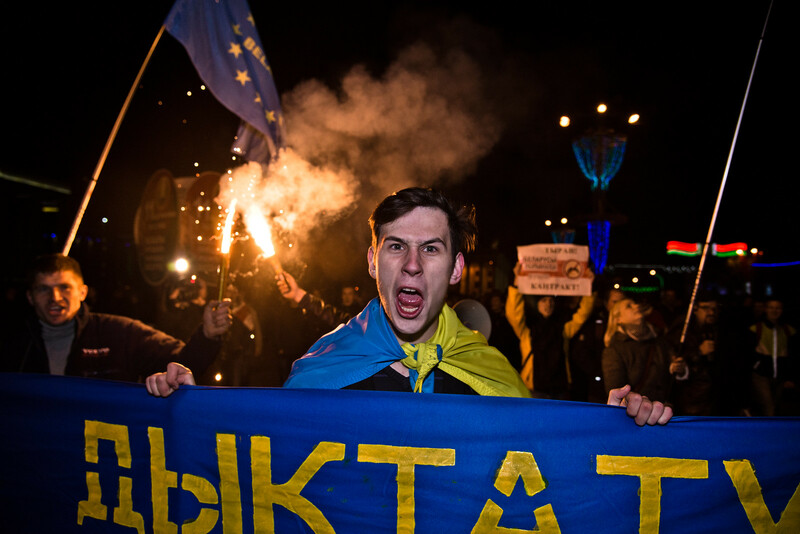 Shortly after the election, EU foreign ministers agreed to suspend the existing sanctions for four months. These sanctions included travel bans and asset freezes against Lukashenko and around 170 other individuals, as well as restrictions against 14 companies. 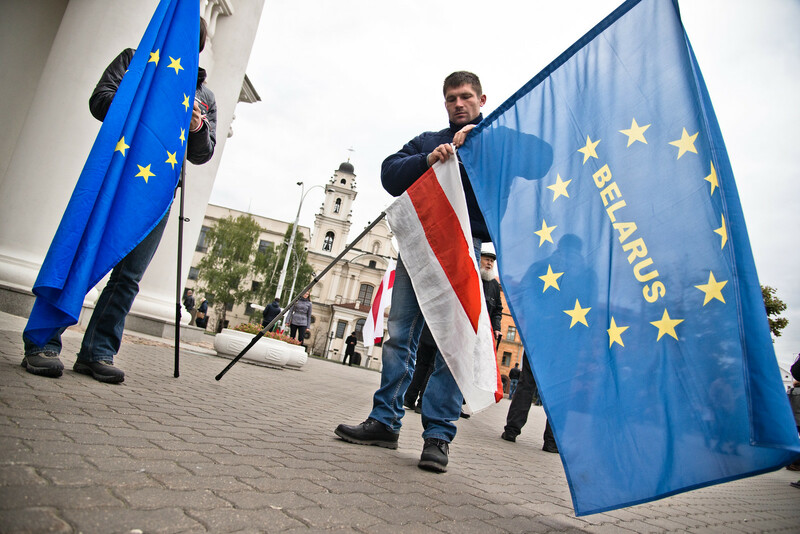 The EU’s decision could also be partly explained by Belarus’ release of the six political prisoners in August and Lukashenko’s efforts while hosting the negotiations on Ukraine. “But the real reason has to do with power politics. Because domestically, nothing has really changed since the massive crackdown of the protests following the 2010 presidential elections. There are still repressive conditions for civil society, independent media and for all those who are politically active; fundamental rights are also restricted.